China surpassed Japan as the world's No. 2 economy by gross domestic product in 2010 after three decades of rapid growth, fuelled by the largest urbanisation in history. But its progress since has been increasingly rocky. Since recording its last double-digit growth (10.4%) in 2010, the Chinese economy has effectively decelerated 30 per cent in five years. In 2014, the economy grew 7.4 per cent, its slowest expansion in 24 years. On Thursday, Premier Li Keqiang at the National People's Congress cut the official growth target this year to around 7 per cent - the lowest goal in more than 15 years. When Chinese exports collapsed in the wake of the global financial crisis five years ago, Beijing launched a credit-fuelled investment boom that reignited growth. In what was intended to be a temporary measure, it lifted controls on credit and flooded the economy with cash, much of which was funnelled into an expanding property and construction bubble. The result is a mounting debt pile that includes souring loans to local government financing vehicles, or LGFVs, which funded the boom in construction. Doubts about the creditworthiness of LGFV debt deepened last year, when Beijing started to pare back implicit guarantees for the regional financing units. 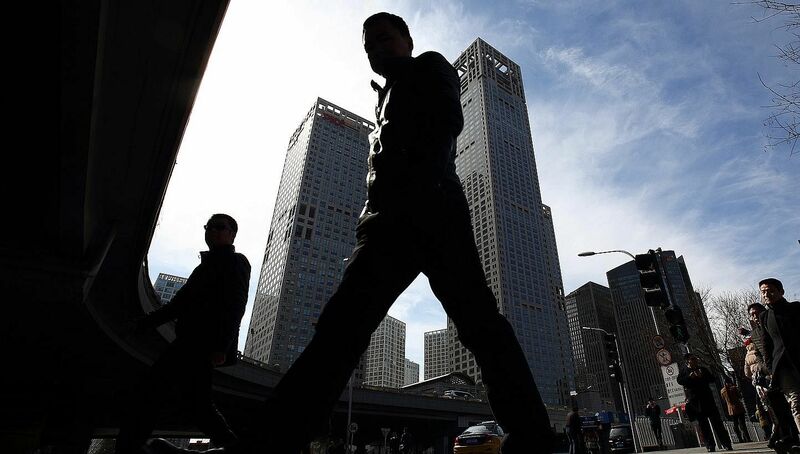 China's total debt pile - including borrowing by households, banks, governments and companies - ballooned to 282 per cent of national output in mid-2014 from 121 per cent in 2000, according to an estimate by the McKinsey Global Institute. Housing alone makes up 15 per cent of China's economy and falling prices represent one of the biggest risks to Chinese growth. The entire real estate sector - including upstream and downstream industries such as steel, cement, glass, furniture, and appliances - accounts for 25-30 per cent of China's GDP so it is impossible for the economy to regain momentum without reviving this vital industry. Even with last year's 4.5 per cent drop in housing prices, the first in two decades, the unraveling of the overbuilt real estate sector has hardly begun, Fortune magazine reported. 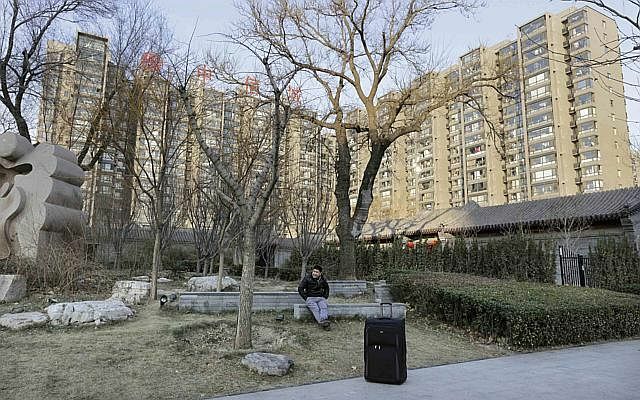 Underlining the fundamental mismatch in supply and demand, Goldman Sachs economists in a report in November last year estimated that around one-fifth of urban housing in China is empty. Fortune said last month that more than 60 million empty apartments await buyers. Housing prices need to fall further to entice buyers. Unfortunately, plunging housing prices will not only hurt affluent Chinese who have poured their fortunes into investment properties, but will also trigger defaults by overleveraged real estate developers who can no longer service or repay their bank loans. Some signs of stress are already emerging: Kaisa Group Holdings, a Shenzhen-based property developer that must repay billions of dollars in borrowings this year and whose bonds are traded in Singapore, rattled investors by missing payment deadlines on a loan and a bond after the local government blocked several of its projects late last year. According to official estimates, industry in China is operating at 70 per cent of its capacity - compared with a healthy 80 per cent in the US. What this means is that China's key manufacturing sector will not return to financial health unless there is a huge increase in demand that can absorb an extra 10 percentage points of its potential industrial output - not so likely with the sluggish global economy. The only way to restore vitality to China's industrial sector is to kill off its zombie firms - mainly large state-owned enterprises that have negative cash flows because their profit margins have been destroyed by excess capacity. But China has been slow to killing off its zombies because this would result in unemployment, debt restructuring, and negative growth. Instead, many zombies are still being kept on life support with credit. Some smaller companies have also resorted to borrowing at high rates to roll over old loans and keep their gates open for a few months longer. 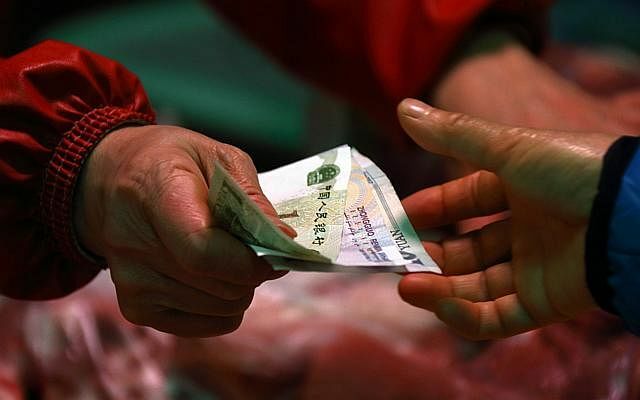 The newest of all threats to China's economy, government officials last month warned of the rising deflation risk as consumer inflation fell to five-year lows. It's a global trend triggered by the plunge in oil prices that began last year against weak demand for commodities and manufactured goods. During periods of deflation, consumers may delay purchases based on anticipation of prices falling further and companies may put off investments due to declining sales, leading to the economy contracting. To ease the deflation risk, China's central bank has further eased its monetary policy, cutting interest rates and increasing money supply, to spur economic growth. 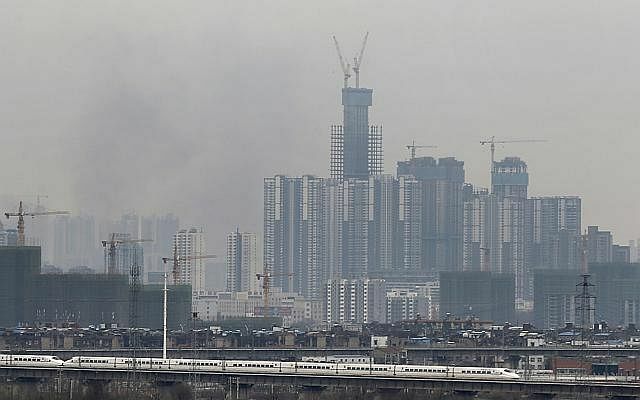 Advocates of painful reform believe that China's economy will not be able to return to a sustainable growth path unless the government aggressively tackles the interconnected mess of a real estate bubble, excess industrial capacity, and financial deleveraging, said Fortune. But doing so will likely cause an outright recession and civil and political unrest. Instead, China's leaders are trying to balance the need to cushion the economy's slowdown with monetary and fiscal stimulus against the longer-term goal of shifting the economy from reliance on debt-fuelled investment towards greater consumption and services. 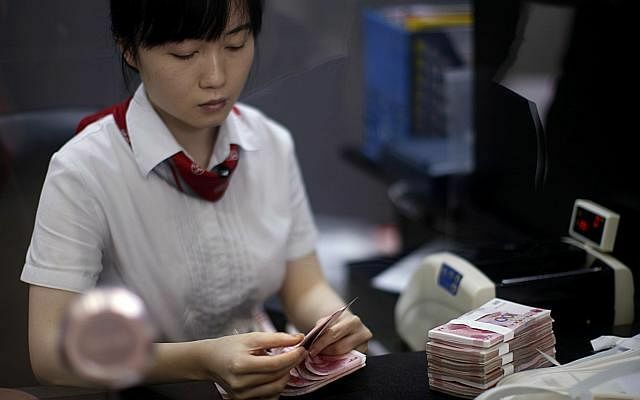 China's central bank has cut interest rates and bank reserve requirements to make more credit available, increased government spending, reversed property cubs and put on hold financial deleveraging. Without such policy support, China's GDP growth would fall further.